I loved the first book, First Blush but that was last year and a few hundred books back, so when picking this up although I could recall roughly the story and the main dramas the intensity had gone, and I was confused by some of the references such as the Tanner/Ellie kiss..I just can’t remember that, what prompted it, why it happened. Its another terrific read, packed full of dramas and angst. Ellie and Grant have parted after the revelations of the last book, but there’s still the feeling that they are on the edge of getting back if only they would talk, see each other, one of them take that step.They both still have such strong feelings for each other and I was rooting for them to move forward. Ellie’s still dealing with the fallout, getting bullied and blamed for the situation, even though she was a victim too and not the one who caused the issue. Its easier to blame her though, than to look at the years of abuse and failings of the booster system. Now the problems have stepped up and Ellie is scared – when will it stop? Is it really worth staying here given her reputation is in tatters and Grant seems lost to her? He asked for space and she’s given it, but will he ever want to go back to her? Then there’s the gorgeous Charlie, he’s really such a Gem, a true Gentleman. I remember loving him in book one and he’s still that same incredible, intelligent, caring and genuine man. Wish there were more like him, and given how hard its been for him and his mum he’s a real credit to her, has some values that would make the world better if we all shared them. He’s been hiding though, behind his created anonymous podcaster Dr Love, a fun thing that’s become really popular and a huge question for the students, they love Dr Love, but who is he? He’s the man Charlie would really like to be, cool, popular, able to fit in easily. You can see Charlie’s issues by looking at how he’s shaped Dr Love. Then there’s his girlfriend Devon. She’s got issues too- on the face she has it all, money, popularity, self confident and yet her family are fractured and she’s trying to put it all right. Her parents are more concerned with reputation than rightness, and her brother has had drug and alcohol problems which of course get covered up for the family rep.
I’m kind of mixed about Devon, can’t remember really feeling strongly about her in book one but here – she’s all the things I hate, selfish, self obsessed, a bully, a real b itch in fact! Yet Charlie thinks the world of her and she does seem to think much of him. Opposites attract and all that. I love the family dinner and Lobster Woman. Poor Charlie, he seems to see a different side to Devon and its well hidden from the rest of us. What will happen when he sees her as we do? Or will she change? Can she change? Does she want to? She likes the ease of her life, the way money sorts out most problems and its a lot to give up. Sorenson – the man with the answers, Devon’s childhood friend and her go-to guy is still around though we don’t see as much as him. I feel for him, he wants Devon but she’s blind to it, she wants Charlie, though she did want Grant before…tangles all round then, and of course there’s a couple of new players too in this book. One of them is Rebecca, one of Charlie’s students who looks set to throw things awry in her effort to attract his attention. The second one is Tali, who does drama in her spare time and becomes a friend to Grant. I think she wants more than friendship, but am I right or off base? Does Grant still really want Ellie or am I wrong there too. Will Tali come between them. Will Ellie stay or go, will they get back, will Devon and Charlie stay together or will Rebecca and Sorenson interfere. What about the scandals, and the bullying – can they pass or will they still cause such problems. Is Devon’s brother really clean or still hiding his problems from everyone. Its another story full of questions and ends on yet another cliff-hanger, Gah! By next year book one will be a faint memory, and I’ll have forgotten from this one all the little subplots that make it such a great read. 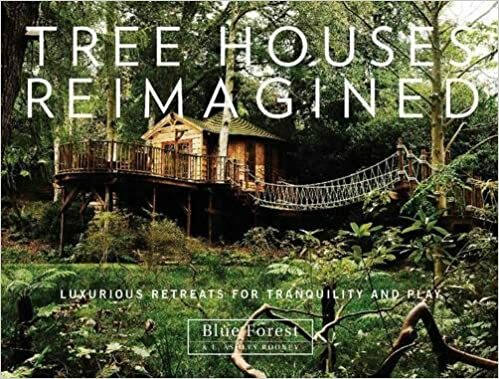 Tree houses – they conjure up rustic structures, made of old bits of wood roughly nailed together by kids in the boughs of old trees don’t’ they? Well, a look at this book will certainly challenge that perception. These aren’t playhouses – except for few very lucky kids, but structures built to blend into the landscape, intended to create a stunning contemporary retreat, or create a fairy tale structure. Its hard to find a favourite, there’s so much thought gone in to them. I love the ones that mimic the “real” tree-house ideal though, ones that use imagination and create fairy-tale strictures. Maybe its just that living close to nature in the way Fairies etc are supposed to means that these houses can feel real to me, be places I’d love to live. And maybe I’m just still a child of the 70’s in my heart, and a lover of all things nature and natural. They have more going for them than just stunning appearance though, the whole live-with-nature ethic is worked in to most of them, with materials used, water, waste and energy very carefully thought out, well designed to make use of local natural features and to cause least harm to the land. I’ve been drooling looking through this book, just adore the places created, and wish, wish, wish I could afford something like this in my garden. They aren’t just kids playhouses, but places for holidays, for holding meetings ( one of them can hold 40 adults! ), to be used as a home office, or for businesses like Yoga studios, where the idea of creating a place to work from natural materials to fit in with nature and become part of the landscape is an extension of the Yogic ethos. they truly are places of relaxation. I’ve been reading this on my Kindle Fire and that really shows the illustrations well. I’ve been waving it in front of visitors, friends and family for past few weeks, and making them all drool too. We all agree the things created here are incredible, the thought that’s gone in to each very well researched and carried out, the book is one to treasure, to inspire and to build dreams with. Onto book three and ..Gah! Ack! It ends in a cliff-hanger…and I just so, so hate them, despise them. The good part is that book four is due in Oct, just a month after this one releases so its not too long to wait. what makes me so cross about this type ending is when authors end book in cliffies and then sequel gets delayed and delayed until suddenly its 2, 3 even 4 years since you were left hanging. 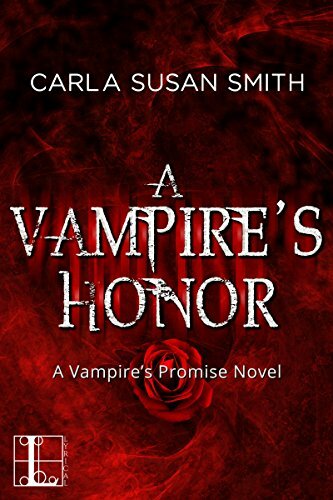 Thankfully Carla has book four lined up ready to come out soon after this one – Thank You Carla!! So after all the deep drama in book two this one feels a bit less intense, but its still got a huge amount going on. Its a while since I read the last book, and ideally I’d have reread it before starting this but as even time was limited 😉 All was fine though, as I continued reading the full events came back to me. It’s so clever the way authors weave little things from earlier books into major plot angles in later ones. Sometimes its just a tiny thing, a throwaway remark, and I like to challenge myself if I can pick them up – I spotted one in this book that led to some big events later, but I’m sure there’s more I missed. Its why I love to read a series back to back when all parts are out, I get really engrossed, pick up things I missed first time round, and its a great way of enjoying a story, getting totally immersed. Don’t try reading this without books one and two though – you’ll be lost. You’d think Gabriel and Rowan could get a break after all the things that have happened but no, once more it seems events and certain others are against them, and the dangers start up from Rowan getting abducted, and end in what looks like could be a permanent separation. How can that be when she’s his Promise? Well, there are always little details, little clauses in agreements, and Rowan does tend to rush into things without thinking of the consequences. This time her impetuousness really comes back to bite her with a vengeance. I love Rowan and Gabriel, loved seeing some of his history with Aleksei, and of course Anazstazia, and of course there’s the wonderful Tomas. The five really do make up the core of this book, with the introduction of an old enemy, and someone new coming in who seems to have a desire to cause trouble – why though? Well, as always who knows? Seems Rowan’s Demon from the last book may have got a few irons in the fire too. Its left on a real gut churning cliff-hanger, where it looks like things could be permanently split for Rowan and Gabriel – I can’t believe he hasn’t worked some way out though, can’t see him just rolling over and giving in, but what he can do I’ve no idea. Good job its not me writing but Carla or it would be a weepy ending, and not the happy tears kind of crying! Another fantastic, engrossing novel, and I Just Can’t Wait for book four! Stars: five, roll on book four.